Fat Jack’s is on a roll! 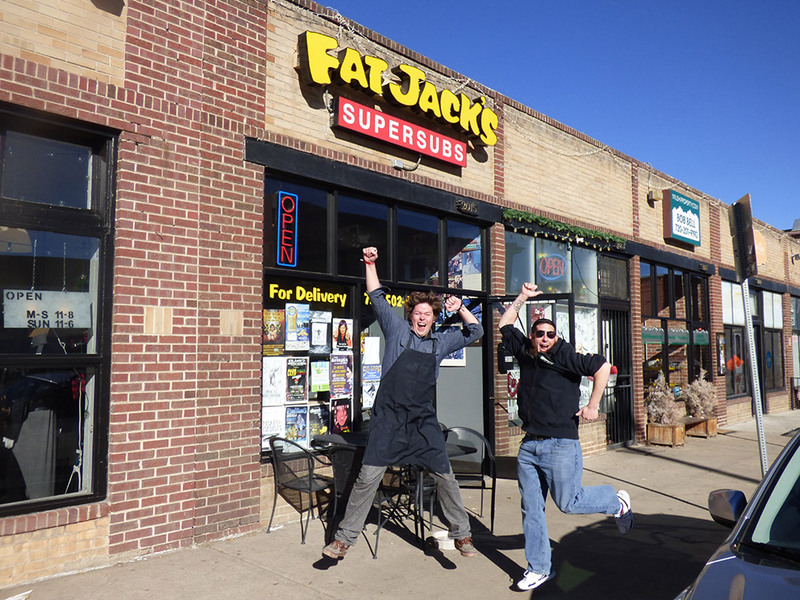 Earlier this year, the Stasko Agency became the agency of record for Denver based Fat Jack’s Subs. The timing for a public relations program couldn’t have been better for Fat Jack’s and its co-owners, Kyle Fabra and his wife Brook. In March, Fat Jack’s opened a new store at 450 Broadway. This was the second new Fat Jack’s to open within the past year. (The first new store was the shop at 2736 Welton Street in Five Points, which launched last summer.) Just as the Fabras were preparing to open the Broadway store, they learned they would have to evacuate their LoHi location in Dickenson, to make way for a new development. Fat Jack’s was one of several businesses that were told to evacuate the site. Fortunately, Kyle got to work right away to find a new location in LoHi and was able to lease a spot just one block away at 3326 Tejon Street (next door to Western Daughters Butcher Shoppe). The Fabras opened the new LoHi spot in mid-July. Additionally, Fat Jack’s was approved to open a new concept store on the Auraria Campus. This will be the seventh location for the eatery, where in addition to offering its delicious sandwiches made of the freshest ingredients, it also will offer Little Man Ice Cream by the scoop, Cinnaholic Gourmet Cinnamon Rolls (100% Vegan), and a yet-to-be-named provider of organic/fair trade drip coffee. The word about Fat Jack’s is getting out there, and we don’t think it could happen to anyone better than Kyle and Brooke Fabra. https://www.staskoagency.com/wp-content/uploads/2016/07/fatjacks.jpg 750 1000 Stasko Agency https://www.staskoagency.com/wp-content/uploads/2018/03/stasko-logo-dark-sm.png Stasko Agency2016-07-17 20:56:002018-03-28 03:41:30Fat Jack's is on a roll!